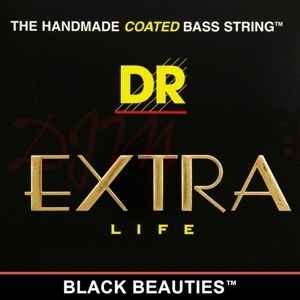 Black Beauties are one of the family of DR's Extra-Life coated string sets. 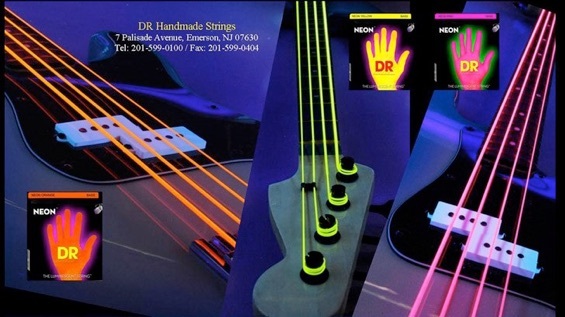 DR Strings, makers of the world's finest handmade strings, combine the latest wire technology with old-fashioned craftsmanship. 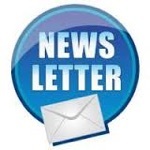 The costly stainless-steel wrap wire is the latest in coated technology. The wire is pre-coated before winding for extra life and extra protection. This coating includes a corrosion inhibitor for extra protection against damaging substances such as perspiration, dirt, humidity, and "acid hands". 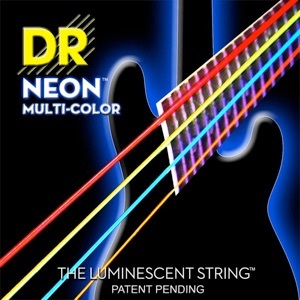 DR's Extra-Life offers players a superior coated string without sacrificing the tone, clarity, and volume. At DR Handmade Strings we always combine old fashioned craftsmanship with only the very finest American made materials. 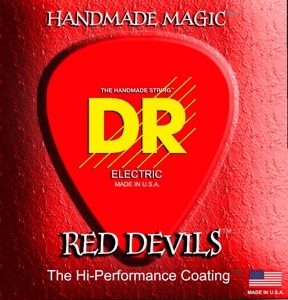 The K3™ coating on DR strings are designed for use with standard picks and fingers. 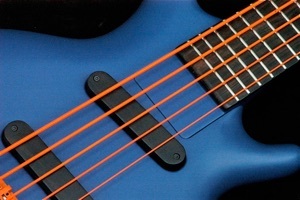 As with any string, coated or uncoated, the surface can be damaged by scraping against metal. 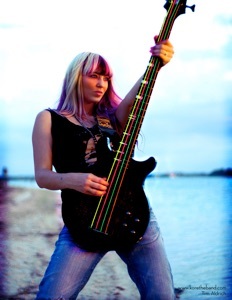 It is important that care be taken when stringing guitars and basses where the strings are passed through a metal block or bridge. Scraping can damage the coating. 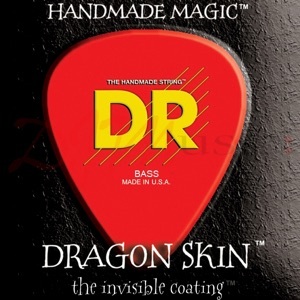 DRAGON SKIN™ strings have the K3™ coating this is the first coating that players report, "sounds as good or better than uncoated strings." DR's new, remarkable, proprietary and patent pending K3™ Technology Coating is the first coating that makes no apologies and no excuses for not delivering sound equal to uncoated strings. Players tell us that these strings have more volume, less unwanted overtones, greater clarity and articulation then standard, uncoated strings. Yet, they provide the same protection due to corrosion and perspiration as well as increased tone life that coated strings are known for. 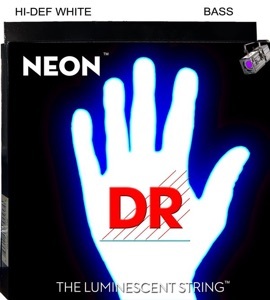 New DR Neons are super bright that will sound clear, bright, and musical and last like the coated strings they are. 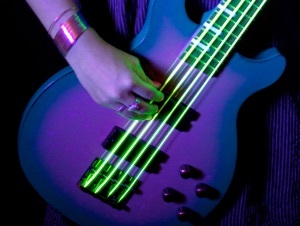 Players will fall in love with the remarkable Neon string colour. Then fall in love with their remarkable sound. 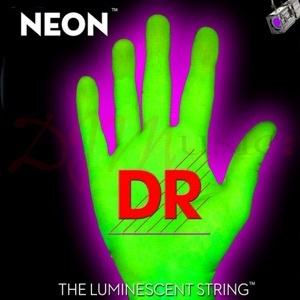 Super bright in daylight and under stage lighting, DR's neon green guitar strings are so bright in appearance they look like they are on fire. 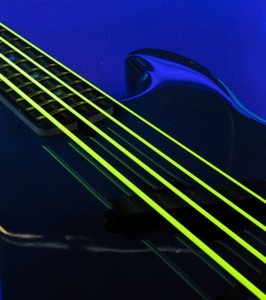 They are 100% back light active so they glow strongly under UV lighting. At DR Handmade Strings we always combine old-fashioned craftsmanship with only the very finest American made materials.